Obesity rates present a growing epidemic for the American population today. The problem with excess weight is that it can lead to other health complications and put a toll on one’s overall wellbeing. And it’s not just the increasingly high-calorie foods and low activity amounts that are causing humans to gain excessive weight, it’s also impacting our pets. One recent USA Today report uncovered that most American pets (dogs and cats) are overweight and even obese – 59.5 percent of cats and 55.8 percent of dogs to be exact. We care about you and the health of your four-legged family members so we’ve put together 3 tips to help you both get more active and make better meal choices this spring. Choosing the right types of food to feed your pet is important. Low-quality foods with grains and other fillers are never a good option. Not only can they lead to weight gain, but they can also bring other health issues. Instead, opt for wholesome, quality sources and that contain balanced nutrients needed for their bodies to continue functioning optimally. One of the most important factors in weight loss and health is not only the quality of the food we eat but the amount. The same is true for our pets. While each breed will have a differing requirement on how much to eat and how frequently (depending on their lifestyle) it’s important to get familiar with the recommended guidelines for your pet and stick with it. That means not going over portion sizes, choosing only wholesome and nutritious, quality food and forgoing extra snacking in between meals (save those treats for the big praising occasions). Now’s the perfect time to make sure you’re holding up to your own fitness goals and walking more too. 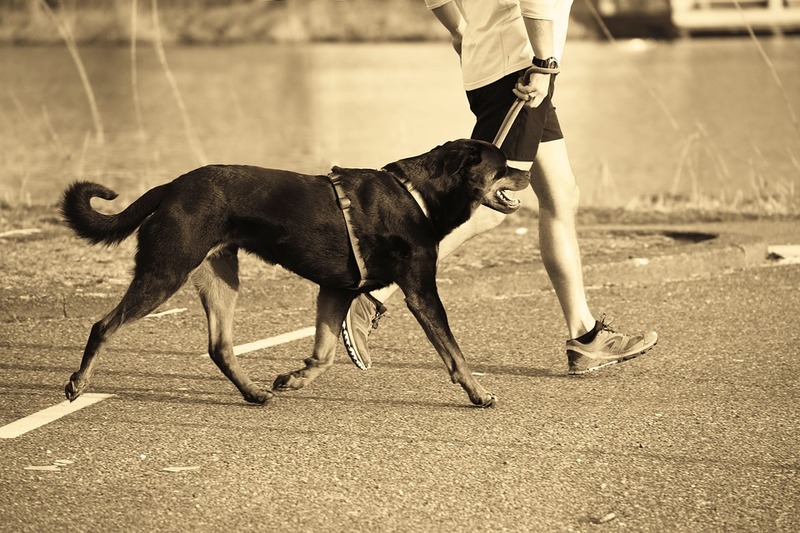 While you’re at it, you can add an extra walk for the dog at night or even set-up pet containment systems indoors, or outside that give your pet the freedom to roam and run around while keeping them out of harm’s way. The weather’s starting to get nicer here in New England, so it’s a great time to get outdoors with the family and your pets and enjoy the fresh air. Lace up your sneakers and grab the leash! Previous Previous post: Dogs Enjoy Spring Weather Just as Much as We Do!